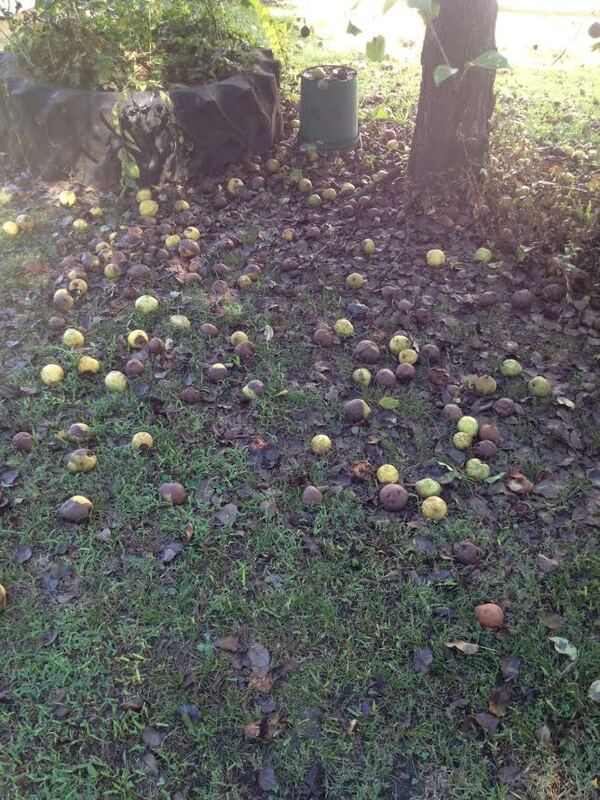 You know Fall is coming when the ground beneath the pear tree in Mom’s back yard looks like this. There was a time when Mom’s side yard had 3 or 4 apples trees, a plum tree, a cherry tree, a peach tree, and the pear tree. Fresh fruit from the yard is definitely a childhood memory. Over time the trees died off or stopped producing and were removed. But the pear tree lives on and produces quite a crop each year.